Joseph is completing his academic year on the Dickinson-in-Moscow program. He talks about his language progress over the last eight months and how the Dickinson program is flexible enough to allow students to try out different courses with Russian students until they find one that fits. Hello everyone! 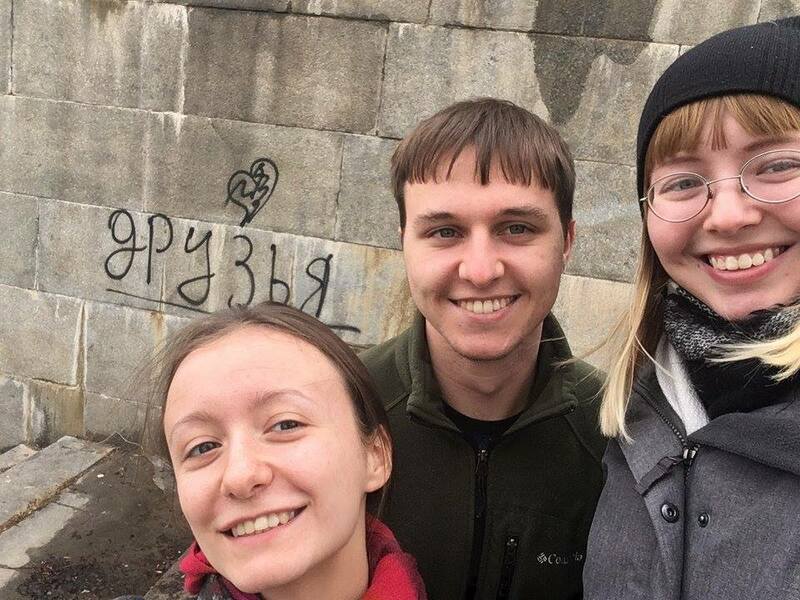 My name is Joseph Galla; I’m a double Russian and International Studies major and I have been studying in Moscow at Russian State University for the Humanities for the past academic year. I wrote a blog last semester about my initial (for lack of a better word) feelings about the city, life, and my studies. Now around the end of the full year it feels weird to look back at all the things I thought were difficult that are so mundane and ordinary to me now. My listening comprehension and speaking abilities are substantially better than they were last semester. They are even better than they were at the beginning of this semester. I can communicate more clearly now, which has also helped with classes. Alongside my Russian language classes I’ve been taking classes in Russian with other Russian students and it most certainly hasn’t been easy. The first one I took was “Modern Politics of Arab States.” Trying to understand the professor was tough enough but I also felt so out of place: there were only 10 other students in the class who all knew each other and I felt kind of like an outcast. I ended up dropping that course and signed up for “History of International Relations,” which was more of a lecture-style class: more people, bigger space, more content, and less discussion. The only problem with this class was that I need to take it when I return to Dickinson anyway, so taking it in Russia would be redundant. I’m now taking “Modern Politics of Russia” and feel more comfortable in this class. The most memorable part of second semester (so far) has been our trip to Poland. The trip was composed of the Dickinson in Moscow, Bremen, and Bologna programs. All the students met in Warsaw and saw the city for two days and met with Polish students. Next we stayed in Krakow for five days, toured the city and attended lectures throughout the week. The most interesting and somber part, however, was our visit to Auschwitz. The entire trip was incredibly interesting and relevant to the Russian program in particular since the two countries are in such close proximity and both Russian and Polish are in the Slavic language family. My time here in Moscow has really helped my language ability, but also been a good experience culturally, scholastically, and personally. Two full semesters in Russia have broadened my cultural knowledge of not just Russia but also other places (like Poland) thanks to the people and students I’ve met. If anyone is considering one semester against the full year, in my opinion the full year is absolutely better. Like Professor DeBlasio has said, you don’t really hit your stride until about November; and a second semester helps all the more since you are more comfortable.